There’s no shortage of things to do in San Francisco; you have the water, the Wharf, the city, parks, the hills, and more than 3,500 restaurants. The only problem is finding the time to take it all in! When I travel to a new city, I like to pick three to five things I really want to see and give myself lots of time to do it. That way, I can take in the sights on foot, soak up the sunshine, and enjoy great meals along the way. Here are my picks for five great things to do on a short trip to San Francisco. As mentioned above, there’s no shortage of great food in San Francisco, but if you’re looking for fresh and sustainably-caught seafood, you’ll want to book a table here. The Grotto, opened in 1935, was the first sit-down restaurant at Fisherman’s Wharf. It recently underwent a major renovation to restore many of the original features of the 1930s Art Deco interior and freshen up the design. 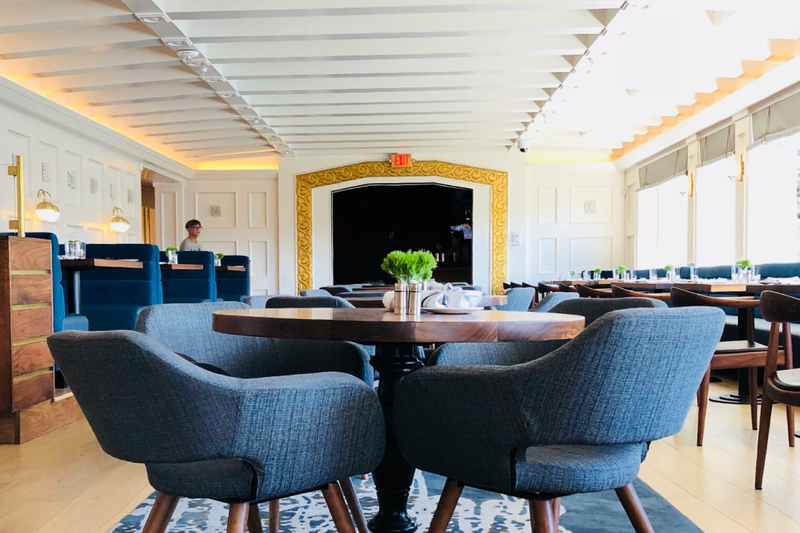 Enjoy great views of the Bay Bridge and bustling harbour as you savour Executive Chef Paul Bruno's hot seafood creations, or go crazy with selections from the raw menu. 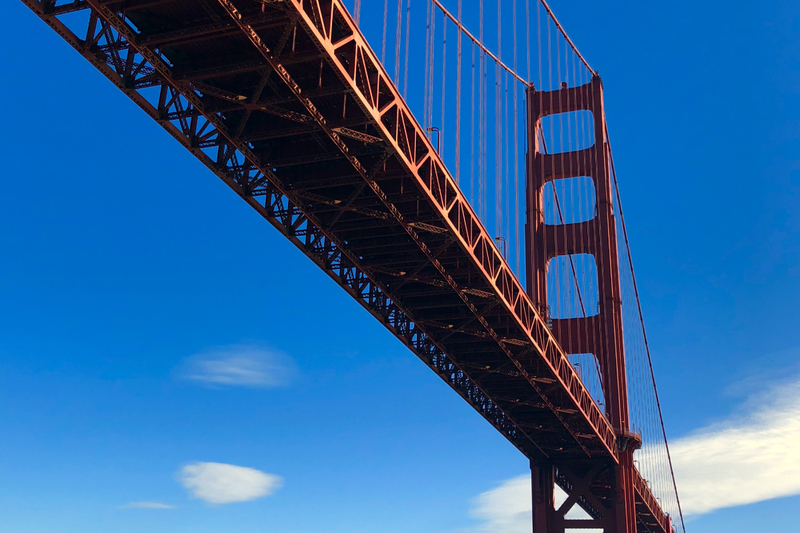 On my recent visit to San Francisco, I was naturally keen to get to Alcatraz and bike across the Golden Gate Bridge, but to do both would have required a longer stay. A perfect compromise to at least see the Bay Area's most iconic landmarks is to book a bay cruise with the Blue & Gold Fleet. Over the course of an hour, you’ll get a great view of the city from the bay, pass beneath the bridge, loop around for a look at Alcatraz, and catch the sunbathing sea lions at Pier 39. Make sure you pack your camera and a jacket — it can be a little windy out there! Each week, up to 40,000 people visit the Ferry Plaza Farmers Market, which is open year-round, rain or shine, on Saturdays and Tuesday to Thursday. 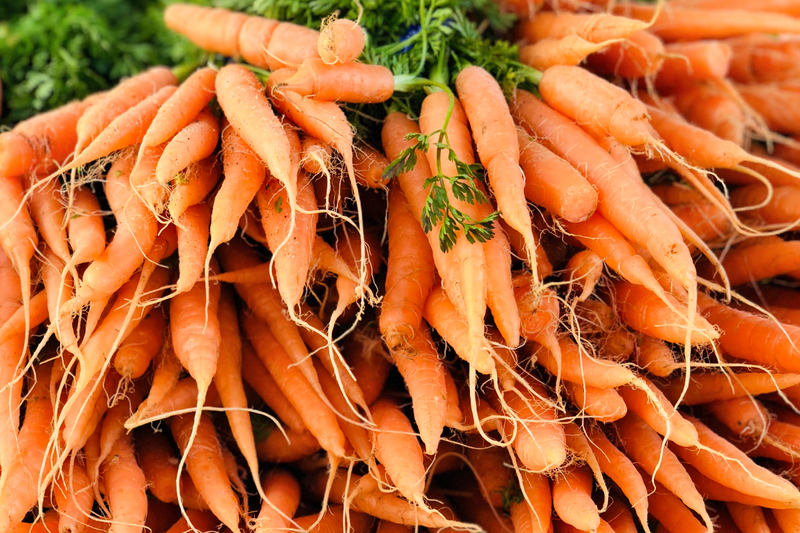 Operated by CUESA, the non-profit Center for Urban Education about Sustainable Agriculture, the market features local and sustainable produce, prepared food, fresh flowers and handicrafts, plus live cooking demos and other educational seminars. Many local chefs stop here to pick up produce and meat for their restaurants, making this market a must-visit for foodie travellers who like to know the story behind their meals. You’ll find plenty of art just walking around the city; the streets are lined with murals, and San Franscisco's brightly-coloured buildings in an eclectic mix of architectural styles provide no end of inspiration for keen-eyed photographers. But consider your city walk an appetizer for the main course: the San Francisco Museum of Modern Art. 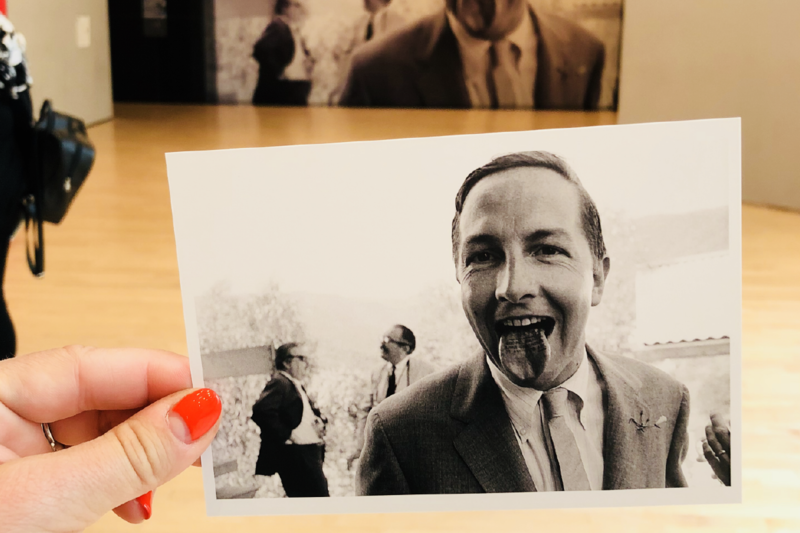 Located in the heart of downtown, SFMOMA houses a vast and ever-changing array of contemporary paintings, photography, sculpture and interactive installations. The museum recently completed a massive transformation, adding 170,000 square feet of new and renovated indoor and outdoor galleries to showcase more of its collection, which includes works by Frida Kahlo, Andy Warhol and Henri Matisse. 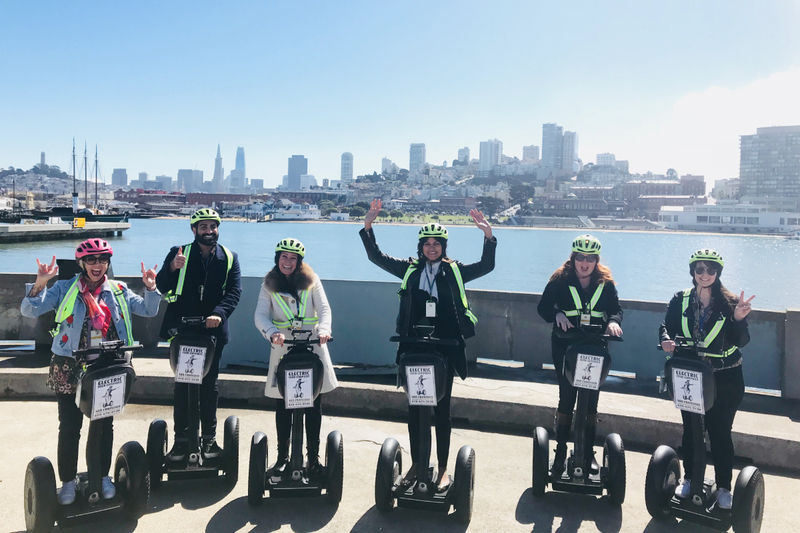 Sure, you might look dorky doing it, but a Segway tour of San Francisco is really fun and a great way to hit a number of major attractions more quickly than on foot. Don’t be afraid of the hills or railway tracks; a guided outing with the Electric Tour Company begins with a training session to make sure you're ready to hit the road safely. Tours range in duration from 1.5 to 2.5 hours and explore different areas of the city, including the wharf and waterfront, Golden Gate Park and Chinatown. If you're feeling brave, you can even Segway down Lombard Street, the most crooked street in the world. I highly recommend doing this activity with a group of friends! Casie Stewart is an award-winning content creator and digital media expert. She writes about travel, fashion, lifestyle and more at her blog, This Is My Life.